With a trillion and one wedding blogs on the internet at the moment, and more popping up all the time, it can be a little overwhelming finding a blog you feel truly understands the needs of a 21st century bride. Riffle through the outdated advice found in the traditional wedding magazines, and eventually you might uncover the sage wisdom of Bridal Editor. So, if you hadn’t discovered Bridal Editor already, you can thank us later. In 2016, Sarah Tippett left her fashion editor role at Wedding Magazine to go it alone, and in 2017 her blog Bridal Editor was launched. There’s a lot to think about when it comes to wedding planning, so perhaps the best thing about Bridal Editor is that it’s solely focused on fashion: ‘Bridal Editor is a purely fashion-led bridal site, aimed at helping brides-to-be discover everything from their wedding dress to their shoes and those all-important accessories,’ Sarah told us. With a background in fashion, Sarah knows the importance of feeling your best self on your wedding day - and a large part of that is finding the right outfit for you, your style and comfort. Via her free online tool, Bridal Finder, Sarah personally helps brides to track down style items that they’re struggling to locate. Who wouldn’t want a little free style advice from someone in the know? Anything to make the day a less-stressful and more joyous occasion! And if you love Sarah’s style so much that you’ll be sad when the big day is over, you can keep up with her everyday sartorial advice on The Fashion Ache. Whether you’re interested in having a nosey of other couples’ wedding days, want to keep up with the latest bridal fashion news or are partial to a competition now and again, Bridal Editor is the site for you. Past competitions have seen brides-to-be in with the chance to win a pair of Charlotte Mills shoes - our faves. 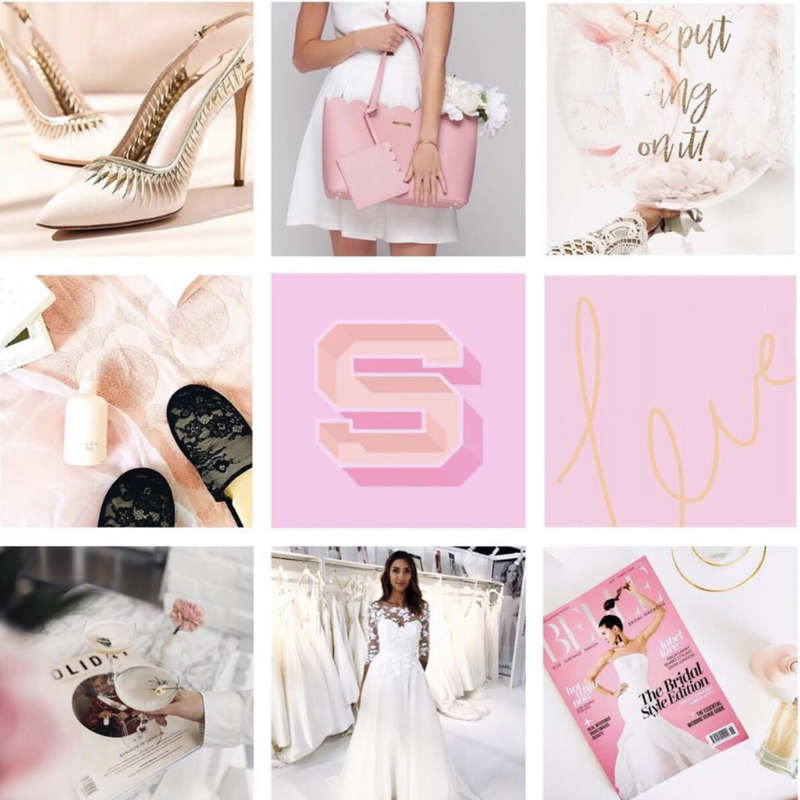 We also highly recommend following @bridaleditor on Instagram - the pink mood board haven is full of wedding gift ideas, style quirks and inspiring pics. Definitely worth a follow, whether you're wedding planning or not! The Bridal Finder tool can be found on the website, or click here for the link.